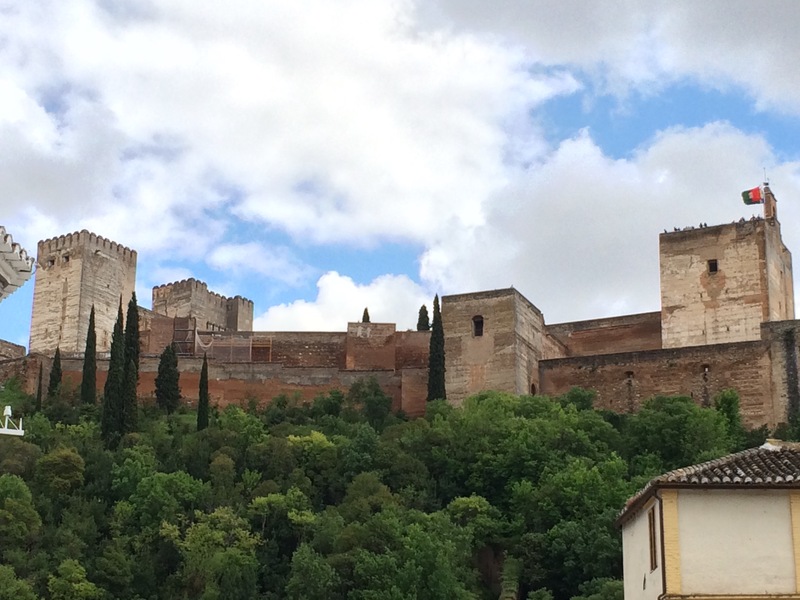 A view of the Alhambra in Grenada, Spain. Gazing up in wonder at the mighty Alhambra, I knew that coming here, even for just a few days, was a good move as well as a excellent photo op. Travel is food for the soul, and wandering through alleyways and ancient buildings in Spain’s Andalusia has been a wow! experience. This great fortress built high over Grenada was an imposing castle. But inside its walls there was a small town, beautiful palaces and intimate spaces with intricate and beautiful mosaics: A place where the Islamic Moors of Spain ruled this region for nearly eight centuries. Before they were finally thrown out of Europe in the momentous year of 1492, the Moors presided over a land that has been praised in recent years for its many accomplishments and relative tolerance – at least compared with the brutal standards of the Middle Ages. In Andalusia at this time the classics of antiquity were studied. Jewish scholars wrote in Arabic. Physicians, astronomers, horticulturalists and thinkers from three great religions exchanged knowledge and inventions. 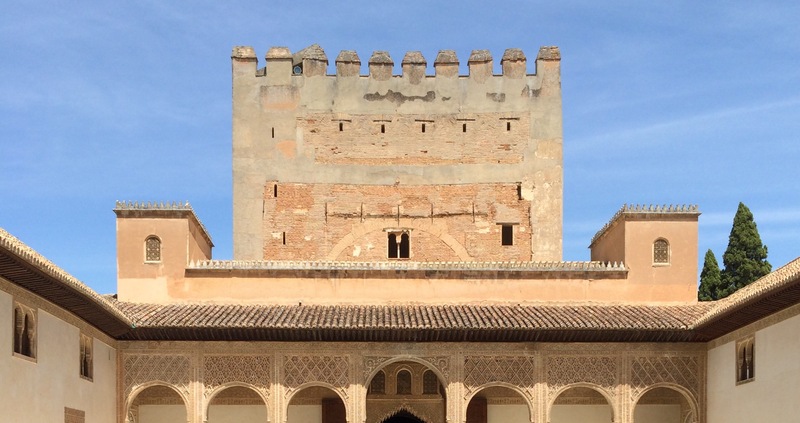 Both The Alhambra and The Mezquita in the ancient Andalusian city of Córdoba, are surviving examples of a great civilization. 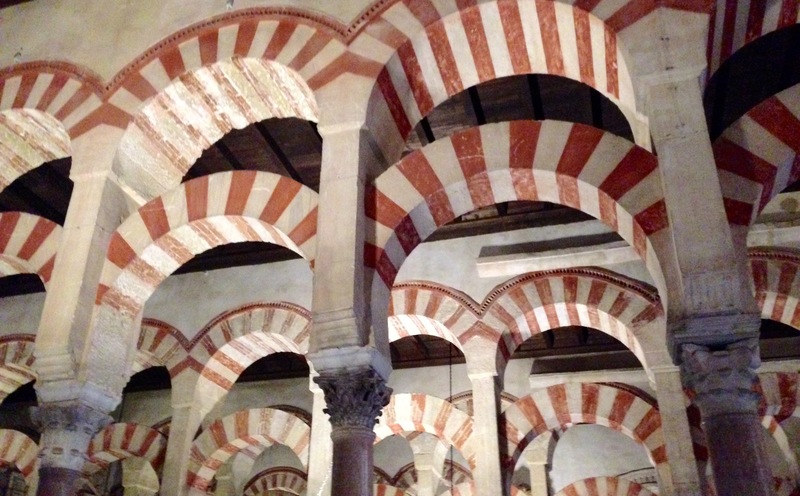 Columns and arches in Great Mosque at the Mezquita in Córdoba, Spain. After a centuries-long war, the Moorish era came to an end with the surrender of the Alhambra, and victory of Spain’s Queen Isobella and King Ferdinand. After the initial Christian triumph, what followed in the 16th and 17th centuries in Andalusia was a long and slow decline for the region, largely caused by religious zealotry and the overreach of the monarchy and Church. The Spanish Inquisition was responsible for the systematic, brutal, and cynical expulsions of Spain’s Moslems and Jews. A narrow street in Grenada’s Albayzin barrio. The lesson that I think I learned in the tender, scented narrow old alleyways of Grenada is that the relatively open-minded cooperation of the convivencia proved to be of more lasting value than the bombast of later centuries in rigidly Catholic imperial Spain. Today, in a time of deep political divisions and dogma from the left and right in the United States, as well as growing cynicism over business, political and civic leaders, reaching back and learning some lessons from history is worthwhile. Soaking up other cultures and looking at the world from different points of view are great ways to put yourself in a new place, removed from the little dramas and hassles of everyday life back home. 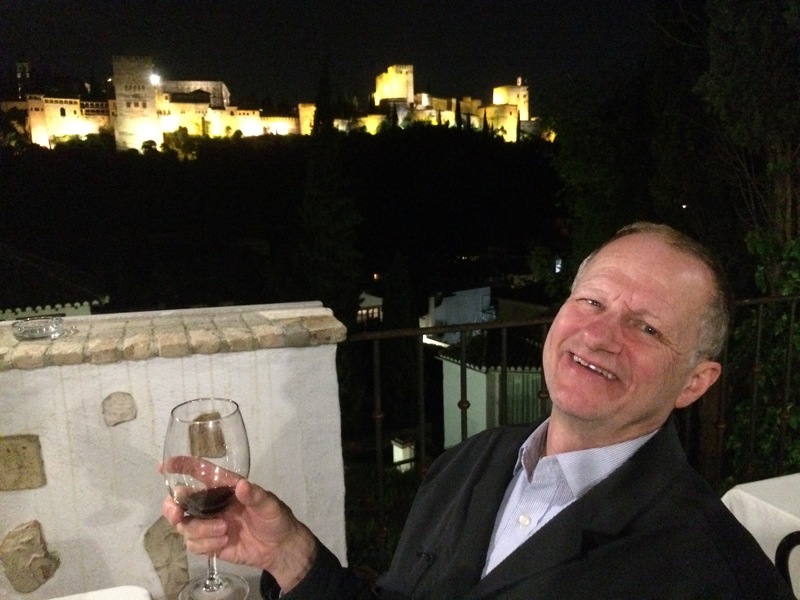 The author soaks up some local vino, with The Alhambra in the background. Thank you! Really want to go now.